Looking for a site that always has the latest scoop on fashion, beauty, and trends? Well look no further. 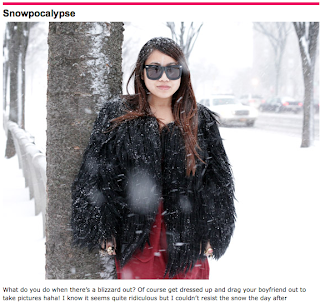 A personal favorite of mine, Nitrolicious is a blog written by Wendy Lam in which she shares with you everything fashion. What’s so great about this particular blog is its diversity. Covering a unique blend of street style, high style, and lifestyle, founder Wendy Lam has created a casual, playful and highly intimate voice which draws in a diverse readership. You can also receive inspiration from this blog, as Wendy usually showcases her daily looks. Check it out and tell us what you think. Got another blog in mind that you think we should feature for next week’s Blogger Highlight? Let us know by dropping a line below.